It’s been a long day at work, you’re tired, and nothing beats an ice-cold drink to wash away all of life’s stresses. Sound familiar? Many in today’s world love to unwind by having a drink or two at the end of their evening. We commonly refer to this as casual or social drinking, being a light drinker, or drinking in moderation. Whatever you label it, there are some serious health risks that go along with this type of drinking. Namely, cancer. To put this in perspective, we’re going to take a look at nine types of cancers with a direct link to alcohol consumption. Please note, while many factors come into play as to whether or not an individual acquires cancer, alcohol consumption may be responsible, at least in part, for the following cancers. Ø Alcohol use is one of the primary risk factors in developing liver cancer. Liver cancer is found most frequently (80%-90%) in patients with liver cirrhosis, which is caused most often by hepatitis B and C or chronic alcohol consumption.3 In total, 3%-15% of individuals with alcoholic liver disease will end up developing liver cancer. Oral cavity and pharynx (upper throat) cancer is increased by 21% in light drinkers. Heavy drinkers (4 or more drinks/day) have five times the risk of mouth and pharynx cancers compared to people who never drink or drink only occasionally. Squamous cell carcinoma (SCC) of the esophagus is increased by 30% in light drinkers. Heavy drinkers (3 or more drinks/day) have over a two-fold increase in SCC of the esophagus compared to nondrinkers. It is estimated that light drinking causes 5,000 deaths from oropharyngeal cancer and 24,000 deaths from esophageal SCC worldwide each year. 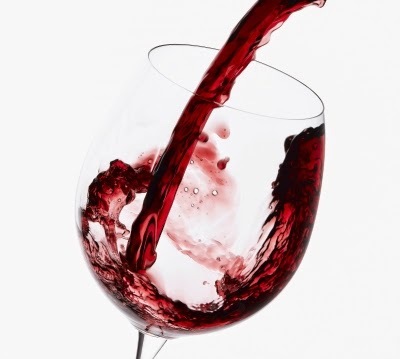 Ø All forms of drinking increase breast cancer, even light drinkers experience up to a 5% increase in breast cancer risk.4,6 For each additional 10 grams of alcohol consumed per day breast cancer risk is increased by 10%. Ten grams of alcohol is equivalent to just under one additional drink. Ø Moderate to heavy drinking is closely linked to colorectal cancer. A total of 2-3 drinks/day increases one’s risk of colorectal cancer by 21%.4 Consume 4 or more drinks/day and you’re looking at a 52% increase in colorectal cancer risk. Ø A 2012 meta-analysis study in the European Journal of Cancer Prevention found a dose-dependent related risk for prostate cancer and alcohol consumption.8 Light drinking (less than or equal to 1 drink/day) increased risk by 5%, moderate drinking (1-4 drinks/day) increased risk by 6%, and heavy drinking (more than 4 drinks/day) increased risk by 8%. Ø Two separate meta-analysis studies (2010 and 2013) on alcohol consumption and the risk of pancreatic cancer show a clear link between moderate/heavy drinking (3 or more drinks/day) and cancer incidence.4,9 There was a 22%-23% increased risk of cancer in these group of drinkers compared to non-drinkers. Ø A 2014 ten-year-follow-up study on women found a significant relationship between alcohol consumption and the risk of non-melanoma skin cancer (NMSC) and melanoma skin cancers (MM).10 For those drinking 7 or more drinks per week (average of 1 or more drinks/day) there was a 64% increased risk in MM and 23% increased risk in NMSC. White wine and liquor showed the strongest correlation in these risk categories. Alcohol is not a health food. It is a drug. Like many other drugs on the market, it has side effects. The main side effect is cancer. While some may argue that moderate drinking is favorable for promoting heart health, this approach still comes with the potential side effect of cancer. Cardiovascular disease can be prevented without alcohol consumption, but cancer is never prevented with it. For a much safer way of preventing heart disease (without alcohol consumption) please see my article, The Secret to Becoming Heart Attack Proof. As always, you are allowed to make your own decisions life. This pertains to what you choose to eat or drink as well. I will never ever tell anyone they can or cannot eat or drink a particular food or beverage item. However, I will always tell others about the potential risks that come along with consuming particular foods or beverages. That way, you have the ability to make an informed decision regarding your health and what is best for you. Thank you for stopping by and reading my article. I wish you many years of great health! 1 Bruha R, Dvorak K, Petrtyl J. Alcoholic liver disease. World J Hepatol. 2012 Mar 27;4(3):81-90. 2 American Institute for Cancer Research. Recommendations for Cancer Prevention. Published 2011 April 17. Available: http://www.aicr.org. Accessed 2014 May 14. 3 Feher J, Lengyle G. [Hepatocellular carcinoma: occurrence, risk factors, biomarkers]. Orv Hetil. 2010 Jun 6;151(23):933-40. 4 de Menezes RF, Bergmann A, Thuler LC. Alcohol consumption and risk of cancer: a systemic literature review. Asian Pac J Cancer Prev. 2013;14(9):4965-72. 5 Tramacere I, Negri E, Bagnardi V, et al. A meta-analysis of alcohol drinking and oral and pharyngeal cancers. Part 1: overall results and dose-risk relation. Oral Oncol. 2010 Jul;46(7):497-503. 6 Bagnardi V, Rota M, Botteri E, et al. Light alchohol drinking and cancer: a meta-analysis. Ann Oncol. 2013 Feb;24(2):301-8. 7 Ferrari P, Jenab M, Norat T, et al. Lifetime and baseline alcohol intake and risk of colon and rectal cancers in the European prospective investigation into cancer and nutrition (EPIC). Int J Cancer. 2007 Nov 1;121(9):2065-72. 8 Rota M, Scotti L, Turati F, et al. Alcohol consumption and prostate cancer risk: a meta-analysis of the dose-risk relation. Eur J Cancer Prev. 2012 Jul;21(4):350-9. 9 Tramacere I, Scotti L, Jenab M, et al. Alcohol drinking and pancreatic cancer risk: a meta-analysis of the dose-risk relation. Int J Cancer. 2010 Mar 15;126(6):1474-86. 10 Kubo JT, Henderson MT, Desai M, et al. Alcohol consumption and risk of melanoma and non-melanoma skin cancer in the Women’s Health Initiative. Cancer Causes Control. 2014 Jan;25(1):1-10. 11 Galeone C, Malerba S, Rota M, et al. A meta-analysis of alcohol consumption and the risk of brain tumours. Ann Oncol. 2013 Feb;24(2):514-23. According to Lemasters, Madhavan, Sambamoorthi, Kurian (2014), "Breast and female colorectal cancer survivors were up to 2.27 (95 % CI 1.90, 2.71) and 1.89 times more likely (95 % CI 1.60, 2.24) to meet the 5-A-Day and BMI recommendations, up to 0.54 times less likely (95 % CI 0.46, 0.64) to drink any alcohol..."